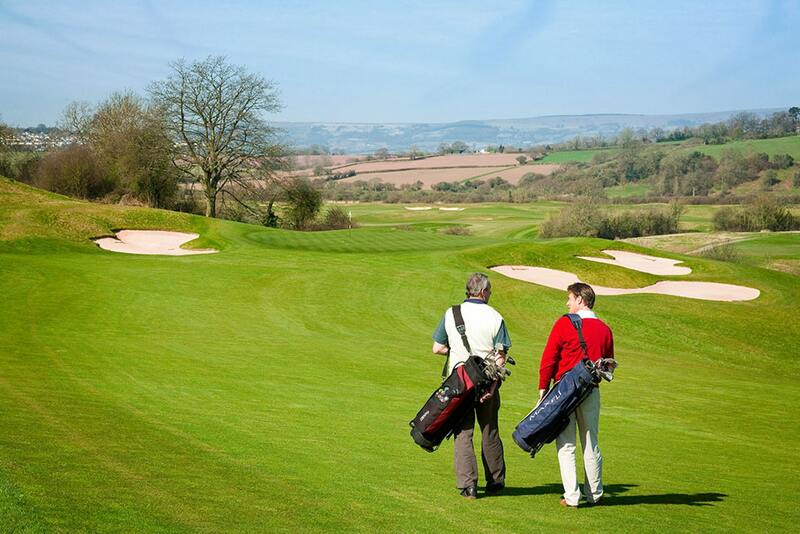 Monmouthshire Cottages are just about perfect for a golfing holiday. 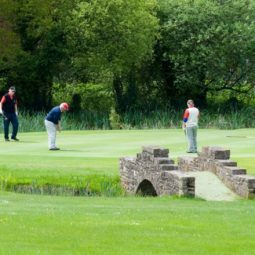 All three Monmouthshire Cottages are ideal bases for golf enthusiasts as there are no fewer than 20 courses within easy reach in the County and a host more in the adjoining counties! Both Foxes Reach and Abbey Cottage have lockable storage big enough for clubs. Need a caddy for your visit? ask us! 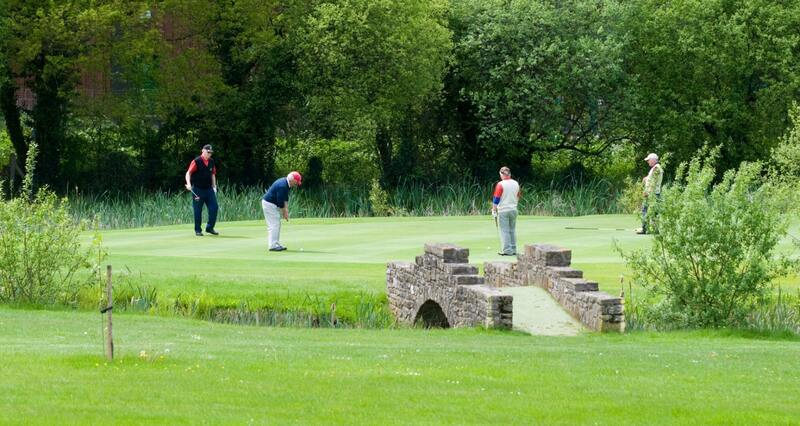 If you want to play a fun game with the family there’s Wye Valley Miniature Golf in Symonds Yat open all year. 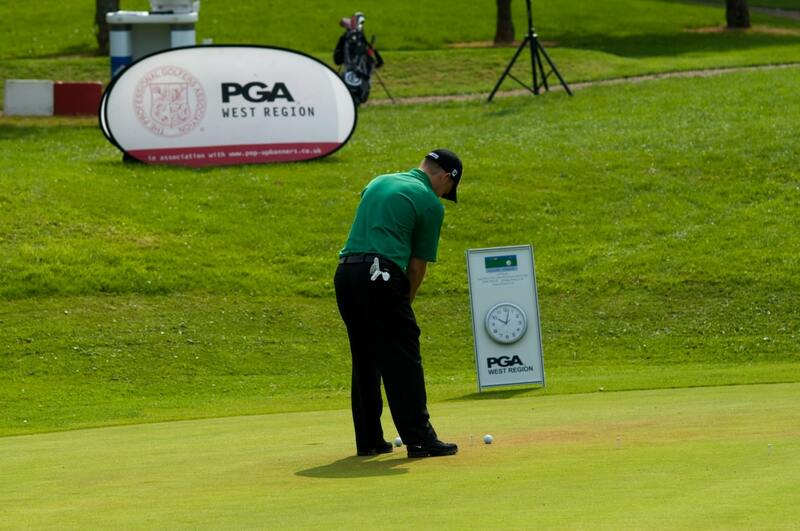 Get into the swing at the foremost Monmouthshire cottages for golf breaks. Welsh Golf is just as it should be. Top class golf. And no fuss. Dont just believe us- believe the thousands who checked it out for themselves at the Ryder Cup Wales 2010 held at Celtic Manor just down the road or at the Wales Open each June . Welsh courses are unstuffy, possible to book at relatively short notice, affordable, and in amazing scenery. You can spend a day on a great course, an evening by our woodburner or in our garden and enjoy an eatery offering fresh local produce . Good country pubs abound and if you prefer a restaurant with Michelin star or the AA Restaurant of the Year – they are close by. Take a day off the courses and visit a splendid castle, canoe or fish, walk Offas Dyke , go shopping in our market towns, try the international grade shops of Cardiff -or sleep in. If you venture across the border to England (that’s the width of the River Wye!) and the Forest of Dean the nearest good course is at Bells Hotel in Coleford. 15 minutes max from Tintern Abbey Cottage and always a warm welcome at the Clubhouse. At both Foxes Reach and Tintern Abbey Cottage we can offer you a lockable store for your clubs . Caddy? Washing machine? Drying shoes? No problem! We have easy parking for your car and washing machines , tumble driers and proper heating- so no need to go back out wet or muddy if the weather is less than perfect . At Foxes Reach you can soak away the day in the hot tub and relax those shoulders for an even better swing tomorrow. We can even help you with sourcing a caddy. Our kitchens allow you to cook properly at home- and our locations allow for easy eating out. Its your choice. Our five star grades at all three cottages mean we offer a very comfortable standard of accommodation indeed and we are also easy for pubs and quality restaurants where you can unwind at the end of a long day on the course. Vanilla has a great local pub, and a TV cheffy superb restaurant ( Foxhunter Nantyderry I mile plus the Hardwick( AA restaurant of the year) and the Walnut Tree ( Michelin starred) each about 5-10 minutes by car as well as masses more in under 3 miles. At Foxes Reach there are several great pubs with locally sourced and home cooked food within 1.5 miles and the renowned Crown at Whitebrook under 5 miles- and masses more in a small area! Tintern Abbey cottage is walking distance to 3 hotels and 3 pubs with a range of good offerings as well as a souvenir shop, book store, craft centre and more.The Crown at Whitebrook restaurant is within 10 minutes drive and there are many other choices within 20 minutes. We can offer whole weeks or short breaks at all three cottages and many of our guests pack in an extra round on arrival and departure days too. Come play the dream 18 courses! 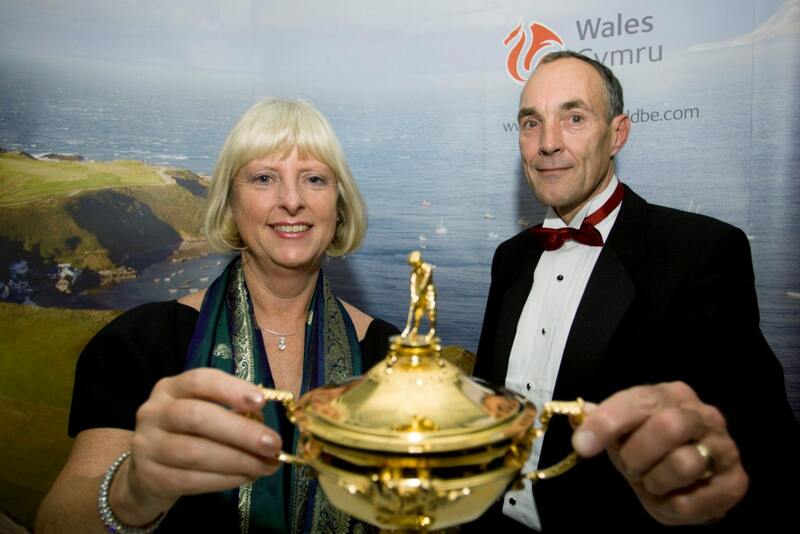 Visit Wales research identified a “Dream 18” of the 202 Welsh courses. Not bad that of the 18 dream courses half are in our immediate area and several more are an easy day trip! What are you waiting for? Its always tee time in Monmouthshire. Not only is the 399-yard par-four 14th hole at West Monmouthshire the highest hole in Wales, it’s recognised by the Guinness World Records as the loftiest in Britain too, at 1,518 feet above sea level. The course was designed in 1906 by renowned Scottish golfer and club maker Ben Sayers and was built by local teachers and doctors. The area has a rich social history – it was one of the most important iron producers in the world during the 19th century – and the views, across the Brecon Beacons and down the former industrial hotbed of The Valleys below, are magnificent. Wales may be just half the size of Switzerland, but clearly no one thought to mention this fact to the designer of The Park Course at Dewstow. ‘Forestry’ is a 700-yard par-six hole – for most golfing mortals that’s a drive and two fair whacks of a fairway wood away from even contemplating a shot onto the green. It’s so far from tee to green they should stick a halfway house alongside the fairway. This timeless masterpiece, located in the beautiful Wye Valley, has hosted 14 European Tour events, more than any other in Wales. The estate was originally gifted to St Pierre by William the Conqueror and more recent beneficiaries of a golfing prize include Tony Jacklin, Bernhard Langer, Seve Ballesteros and Ian Woosnam. The 18th is a 235-yard uphill par-three hole over an 11-acre lake to a green protected by bunkers. “It’s a fantastic challenge, which calls for anything from a driver to a mid-iron” explains European Tour professional Sion Bebb. The Park Course a par 69, easy walking challenge, was initially developed during 1992 and 1993, and follows the natural contours of the gentle Monmouthshire hills. From September 2008, the course layout was changed to create two loops of nine holes for a trial period. The Park Course has what is believed to be the only Par 6 Hole in play in the U.K..
You won’t go short of an opinion in Wales. Fortunately, people will rarely offer uninvited advice on swing technique, which clubs to play with, or which colour socks to wear. On the other hand, if you’re looking for somewhere special to play golf, you’ll never go short of recommendations. 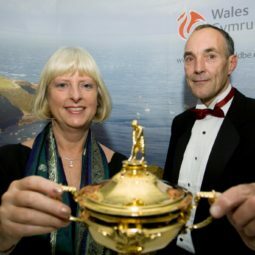 Of all the opinions canvassed for a marketing feature by Visit Wales, from professionals to social golfers, a clear majority cited the former home of Charles Stewart Rolls – co-founder of Rolls-Royce – as the most serene golfing experience in the country. The 18th hole is a fitting conclusion to a rollercoaster ride of golf. The 545-yard par-five 18th hole of The Twenty Ten course is a stage that’s perfectly set for drama. A good tee shot will avoid two deep bunkers along the left side of the fairway. From then on, it’s a case of taking on the water just shy of a tricky, elevated green. 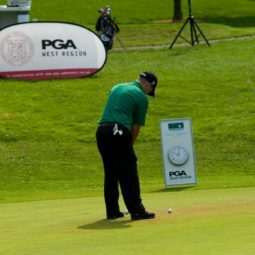 If you need to win the hole you go for the shot, if not, you lay up short and hope for accuracy with your wedge. A good approach will earn approval from the clubhouse gallery overlooking the green. A bad one and… well, the bar is not too far away. 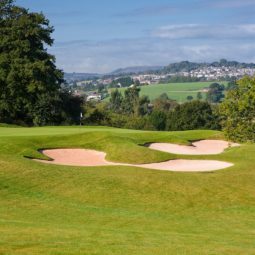 Already one of the leading golf complexes in Europe, Celtic Manor opened the new Twenty Ten Course in 2007 – the first course in history to be purpose-built for staging The Ryder Cup. The Resort boasts three championship courses in all and a floodlit golf academy plus a 400 bed Five Star hotel and health spa. Costing £20 million, including the construction of a second large and luxurious golf clubhouse at the Resort, the spectacular Twenty Ten features water hazards on half of its holes and many more risk and reward dilemmas designed to create thrilling team matchplay during The Ryder Cup. Home of the £1.8m Celtic Manor Wales Open, the Twenty Ten has also been built with spectators in mind and the 50,000 people a day who attended golf’s greatest team tournament in 2010 benefitted from vast viewing slopes on a natural hillside which abuts the closing holes. 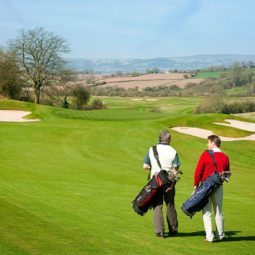 The original Roman Road course was designed by the legendary architect, Robert Trent Jones, following a chance meeting with Celtic Manor owner Sir Terry Matthews which would become a lasting friendship. 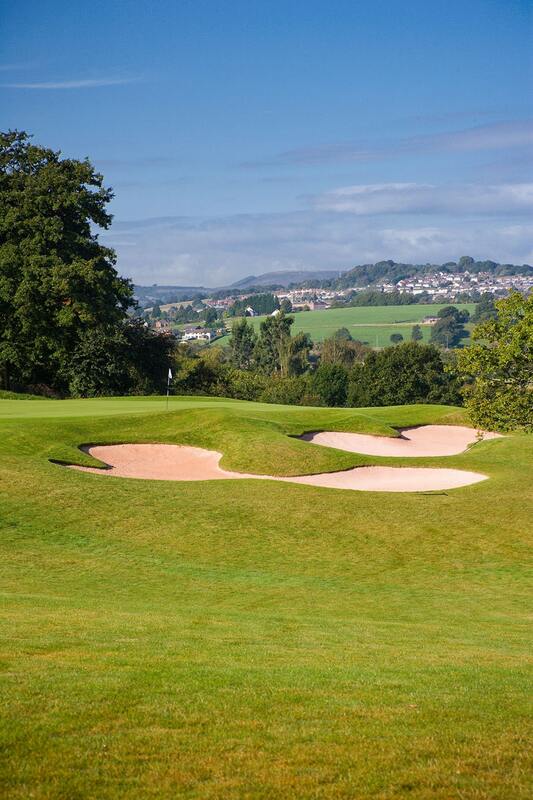 The other 18-hole course at Celtic Manor, The Montgomerie, bears the name of its designer, the Ryder Cup star who remained true to his roots in Scottish links golf when planning deep pot bunkers and tricky greenside swales.